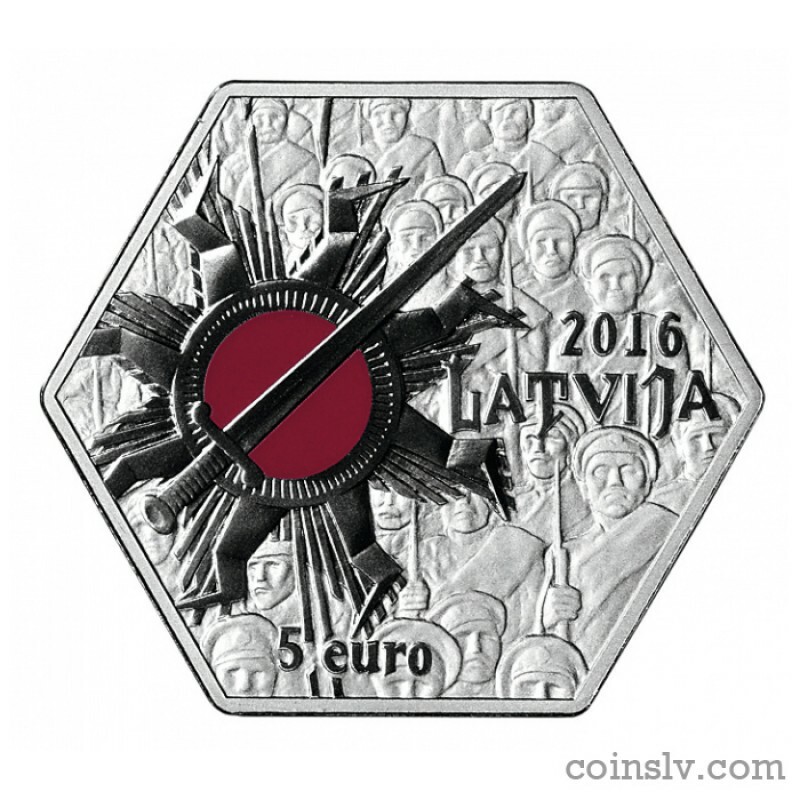 Latvia 5 euro 2016 "Christmas battles"
Obverse: The obverse shows the image of a stylised sun from the badge of the Latvian riflemen battalion soldiers with its central field painted red, eight broken sunbeams and a slantwise-situated sword on the background of a group of Latvian riflemen. The year 2016 is on the right with the inscription LATVIJA underneath, and the inscription "5 euro" is placed at the bottom part of the obverse. 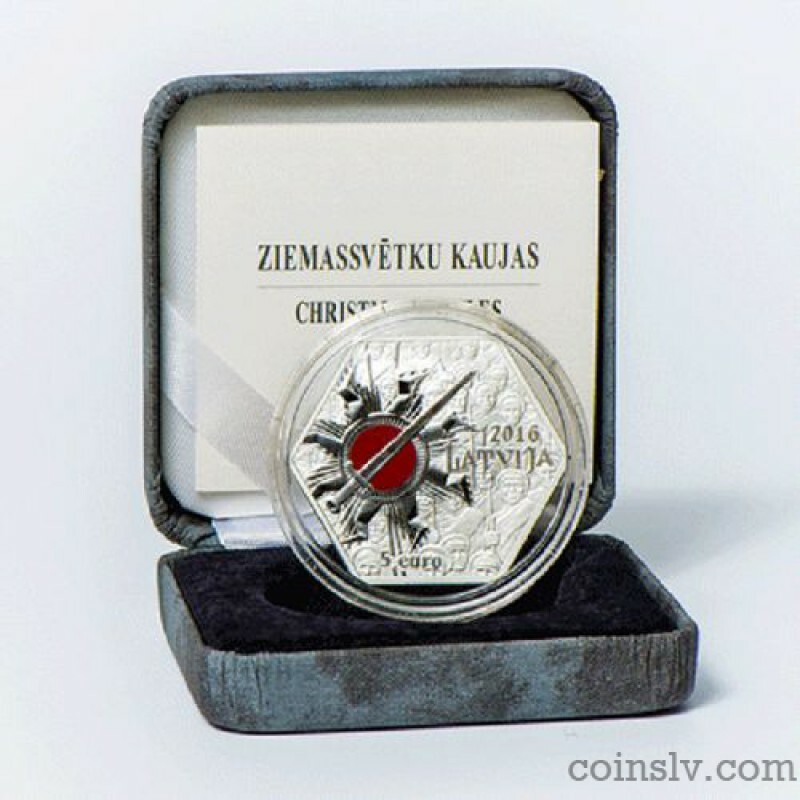 Reverse: The left side of the reverse is covered with snowflakes, while the right one features a point of the bullet impact, with the inscription ZIEMASSVĒTKU KAUJAS (CHRISTMAS BATTLES) placed at the bottom.